Do you think running with a new group is scary? What about running with an “old” group after a long hiatus? 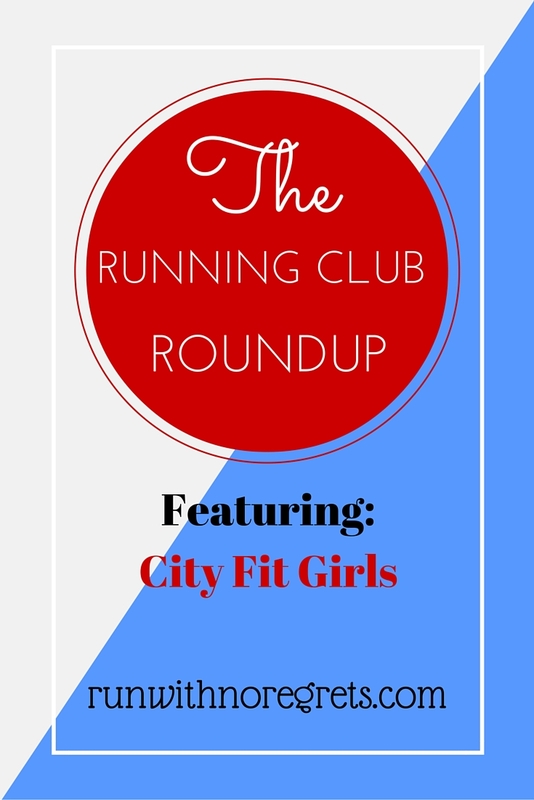 This week I ran with the City Fit Girls Run Club, a group I joined just over a year ago. I haven’t been able to run with the group regularly for various reasons, but I thought it was the perfect candidate for my next Running Club Roundup! Keep reading to find out how it went! If you are new to Run With No Regrets, the Running Club Roundup is a new series on the blog where I’m challenging myself to try out ALL of the running clubs in the Greater Philadelphia Area. From my last count, there are over 40 groups – so that’ll keep me busy! My first run of the series was with The Philly Runners – check out my experience in case you missed it. The Running Club Roundup is every first and third Thursday of the month! I was struggling a bit to determine which group to run with this week. I’ve had a pretty busy schedule recently, but Wednesday night was the perfect opportunity to get back to the City Fit Girls Running Club. I had an easy 4-mile run on tap, so I knew that this would be just right. The City Fit Girls are an INCREDIBLE group that was in founded in Philadelphia by Kiera Smalls and Takia McClendon to encourage women to lead fun, active, healthy lives. They host great events throughout the year – boot camps, group bike rides, shopping opportunities, and have an annual Fit Retreat in August. They have really taken the Philly fitness scene by storm! I’m also proud to be a City Fit Girls Ambassador. The City Fit Girls Run Club was founded a little over a year ago by Takia, and what was once a group of 5-6 women can now see 20 or more on a run! Of course, all group runs are free to attend! Group photo taken before every run! As usual, I was running a bit late to the meeting spot at Dilworth Park on Wednesday. I live about a mile away, so I ran there so that I could satisfy my 4-mile run. When I arrived, I spotted a large group of women standing in a circle. This was new – and slightly scary! I recognized Rachel, one of the awesome group leaders, and she told me we were going around giving introductions. Each young lady introduced themselves, many of which were first-timers, and shared the races they were training for, if any. It was nice to see what everyone was up to. Most of the women appeared to be in their early to mid-20’s. Once we made our rounds, Takia laid out the ground rules: Don’t leave anyone behind, follow the traffic signs, no headphones. We were encouraged to talk to someone we didn’t know and to look out for each other. As a relatively shy person in large groups, I appreciated the message. The route took us from Dilworth Park down Market Street where we headed to the Schuylkill River Trail. Once we got there, we went south until we made it to the South Street Bridge, going up a nice, steep ramp to the top of the bridge. Then we made our way back to where we started. I got going on the run and was a little bit nervous because I know that so many of the women are TIGHT and will run together and talk about all kinds of things. In the past, I’ve ended up basically running by myself because I couldn’t break out of my shell. This time, I wanted to push myself. So I made sure I always had other women around me. I was tempted to start a conversation with someone who seemed a little quiet, but I didn’t want to be a bother. Instead, I started chatting with a nice woman who just ran the NYC marathon. She told me about supporting a runner from Achilles International and how it was a great experience. I always get nervous that I talk too much or that I’m annoying on a run. While we ran, I was getting a bit fatigued so I started to slow down a bit. She checked to make sure I was okay. The weather was in the 70’s so it was a very warm run – though I’m not complaining! I took a short break at the South Street Bridge then started to make my way back down the ramp. I talked to Mary Beth for the rest of the way, another really nice runner who I was relieved that we ran the same pace. She ran the Rock and Roll Philly the past weekend, and shared how pregnancy has affected her running – thankfully all is well! Before I knew it the run was coming to an end. Kiera and two other runners joined us and we were the last of the pack. I had NO problem with that one bit! We ran and dodged people on the sidewalks and had an overall good time. Since I was in the last group of runners, we were happily greeted by all of the women that had already finished their runs. We were all hot and sweaty! I was able to chit-chat for a while, catching up with Nancy – a fellow City Fit Girls Ambassador who will be heading to Disney World in February for the Princess race weekend. I also found out that City Fit Girls will be hosting a fancy end of the year celebration, so I’m really looking forward to that! They really know how to throw a party. I ended up getting only 3.7 miles from the run, so I finished up my 0.3 and headed back home. I wasn’t sure if people were interested in grabbing dinner since sometimes the group will get Sweetgreen or Honeygrow post-run but this time we all went our separate ways. 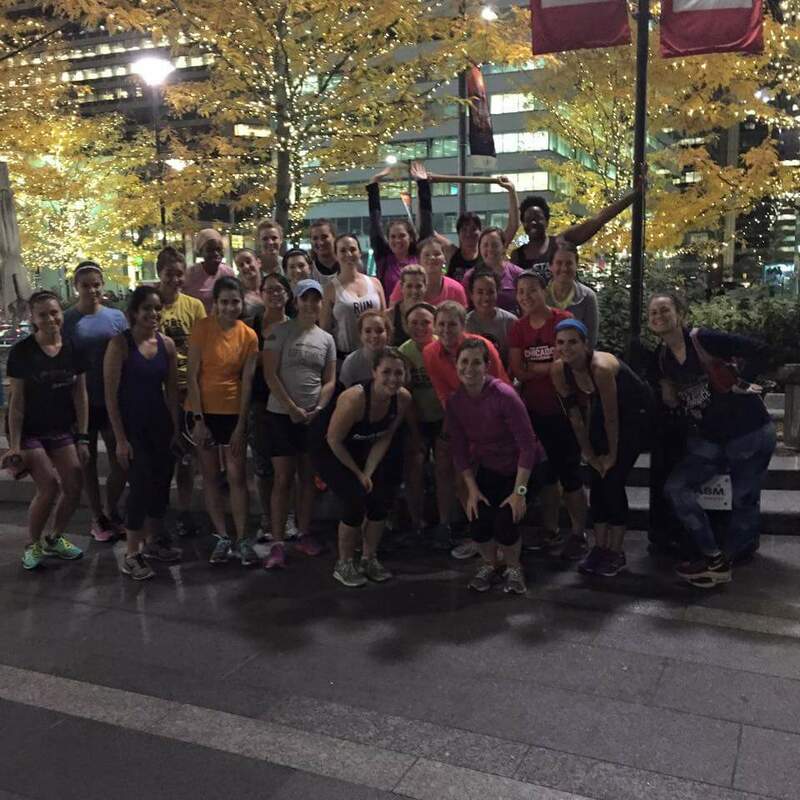 The City Fit Girls Run Club is such a warm, welcoming group and such an asset to the Philly running community. I really appreciated how they took the time to say that “no one is left behind” and that we should make the effort to meet someone new. You could see that amazing bonds have been formed between the women in the group – I would love to be a part of that. There tends to be 2-3 pockets of groups of runners, so it’s relatively easy to find a pack to run with comfortably, and that’s great. It’s not as rigid as other groups that divide you up by pace – so you can really run by feel. However, if you’re in serious training and glued to your GPS watch, this may not be the best group for you. I do have to add one caveat: If you’re a guy, you’ll have to find another group. Ladies only! Once softball season is over, I look forward to participating in Saturday morning group long run with City Fit Girls! I would love to deepen my connections with these really cool ladies! So check out City Fit Girls! They’re also on Facebook, Twitter and Instagram and spreading around the country! Have you ever run with an all women’s group?